On March 29, Associated Students of Madison Reps. Omer Arain, Denzel Bibbs, Beau Burdett and Tyriek Mack proposed a piece of legislation titled “Social Responsibility and University Divestment from Corporate Human Rights Abuses,” regarding human rights abuses supposedly committed by corporations the University of Wisconsin Foundation may be invested in. But the piece of legislation clearly singled out Israel. This resolution was anything but ethical. It was hateful. 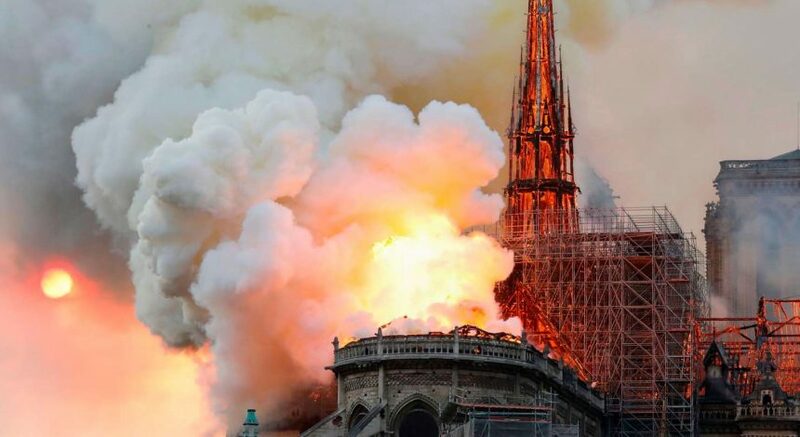 Not only was I hurt by the content of the legislation that unfairly targeted Israel, but extremely disappointed by the unfair manner in which it was purposed. The representatives who proposed this legislation did not engage with our community, leaving us with merely 29 hours to find a way to respond. 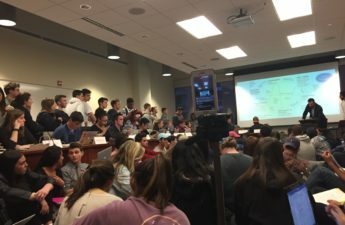 The Jewish community managed to mobilize approximately 130 students who supported unity on campus to attend the council meeting. More than 25 students spoke in open forum, including myself. While I sat on the floor in the tightly packed room for six and a half hours to make sure my voice was heard, I found myself in a hostile environment where I was clearly unwelcome. That night, I saw the divisive resolution, which included Black Lives Matter, private prisons and the Dakota Access Pipeline, force representatives to choose between condemning Israel and other legitimate social justice causes. The representatives were presented with a false choice and inadequate time to make an informed decision. Though the resolution was tabled indefinitely by a 13-12-1 vote, both sides left the meeting hurt, and the damage was lasting. The minute this issue hit the floor, it began to tear the campus apart and did not stop that evening. The next ASM meeting was set to take place on one of the most widely observed holidays in the Jewish religion — Passover. On April 7, Rep. Ariela Rivkin sent an email to Chair Carmen Gosey informing her of the observance and asking ASM leave out any continuation of the March 29 meeting so the Jewish community could attend and participate in any meetings during which divestment was discussed. 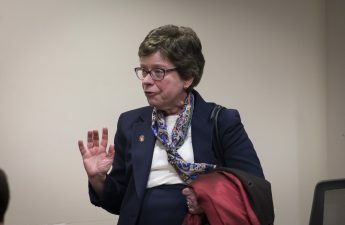 However, Gosey ignored Rivkin’s email and placed an item on the agenda that was a clear continuation of the March 29 business regarding divestment, precisely the topic addressed in Rivkin’s email. This informed decision by Gosey excluded the Jewish community. Prior to this meeting, members of Badgers United Against Hate worked with authors of the initial divestment legislation to craft a new resolution that could be mutually agreed upon. During the April 12 meeting, the authors claimed the Jewish community was satisfied with the new legislation. However, our comments, edits and feedback were not incorporated nor did the Jewish community ever provide approval or consent. Writing a new piece of legislation concerning human rights and investment transparency should have been a six-week long process. Yet, Rep. Katrina Morrison motioned to change the bylaws and vote on the resolution immediately. 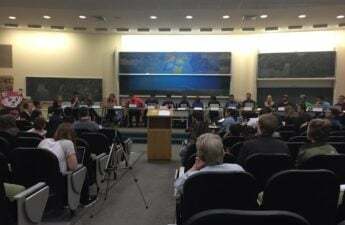 Some ASM representatives expressed their concern about the Jewish community being excluded and led a walk-out in a failed attempt to break quorum. 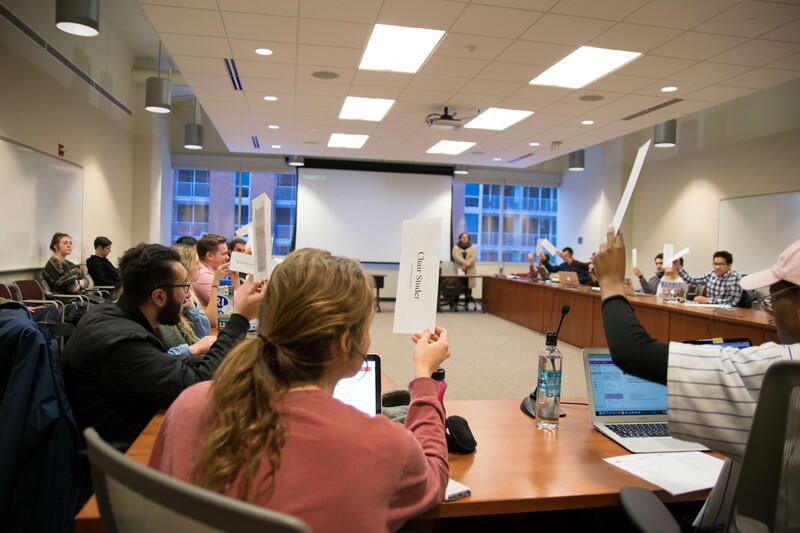 Last night, in the final ASM council meeting of the semester, the proposed resolution called for divestment from corporations involved with private prisons, arms manufacturers, fossil fuels and border walls. This resolution in its initial form did not target Israel. Regardless of our deep disappointment with ASM’s conscious decision to exclude the Jewish community from a vote of great importance to us, we voiced our appreciation to the authors of this resolution for listening to our concerns, and expressed that we did not oppose the resolution in its original form. To our dismay, members of ASM chose to introduce amendments to this legislation that targeted Israel and evoked strong anti-Semitic sentiment. The amendments to this legislation were pre-meditated and the sponsors were not transparent about their intentions. The incredible tolerance for profound anti-Semitic rhetoric and the direct harassment of students on the part of not only ASM, but also the UW student population, is a heartbreaking reminder of our provisional acceptance on campus. This student body acted in a way that repeatedly excluded the Jewish community. As a Jewish student, I feel let down by the students that are supposed to be representing me. Zoe Kellner is a senior majoring in Jewish studies and journalism. This letter is submitted on behalf of Badgers United Against Hate.